The Autumnal weather is slowly creeping its way and I love it! Autumn is my absolute favourite time of the year and there's just so much that I look forward too. After being so used to sunshine and the heat (honestly I will not miss that) these past few months (well I live in Ireland so lets say weeks) we finally had a full day with just lashings of rain which got me thinking about my favourites things to do when it is raining, so hope you enjoy! There is literally nothing more I love than listening to the rain hitting your window and being all cosy inside with fluffy pjs on. 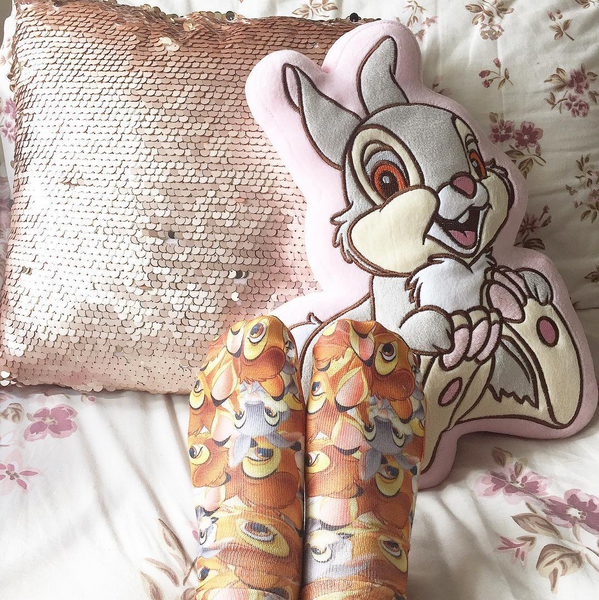 This also calls for some comfy socks and of course a cosy blanket! Basically everything you own that is cosy, wrap yourself in it like a little cosy burrito. Is there really any other better time to watch some Gossip Girl or Pretty Little Liars back to back? I think not! Who isn't obsessed with Netflix these days. On rainy days it is absolutely perfect for watching your favourite tv shows or movies on. If you have an animal then grab it and hug it till it hates you! Sheldon hates cuddles but I love cuddles so he has no choice. He's also so warm like he is literally like a hot water bottle so he add's onto the warmth and he's fluffy and I just love him. It's rainy and it's cold, grab the biggest cup you have make a hot chocolate and cover it with cream and marshmallows! Really is there any other reason to explain that. I don't know why but when it comes to blogging I always feel so much more inspired when it's a miserable day outside. I think again because I'm so cosy inside and there's nothing really to distract me. What are your favourite things to do on a rainy day? Such great ideas. The best type of rainy day is definitely tucked up inside all cozy. Love this!